This bolt set is used to fasten the body top irons to the wood tack strip. 8 bolts. For roadster body with 2 man top. 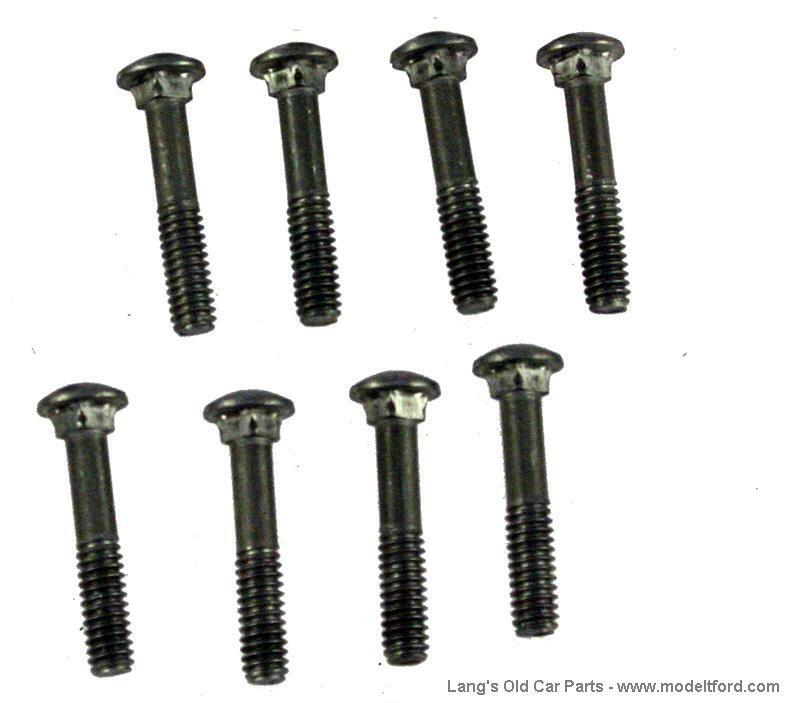 Special 1/4" x 20 carriage bolts with small heads to fit neatly under upholstery. Duplicates of originals .Originally used with square nuts.